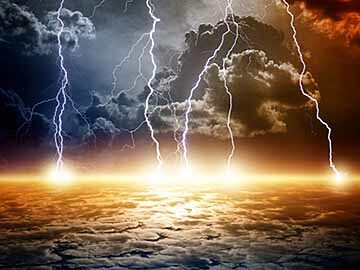 In the days of his flesh, Jesus was asked by his closest associates and friends, “Tell us, when will these things be, and what will be the sign of your coming and of the close of the age?” Matthew records his answer, which may have turned into a riddle. 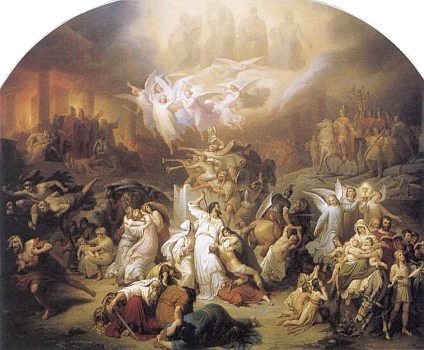 Jesus did not answer his followers in riddle but told them plainly that the destruction of the temple, the sign of his presence in heaven and the close of that age would be with certain signs, global events, and terrible wars. His return for them would not be hidden but visible to any who cared to consider the fulfillment of prophetic utterances and his own words. Just after his ascension to heaven Jesus’ friend, Peter, preached aloud that his death and their spiritually endowed appearance was the fulfillment of the Prophet Joel’s words. “This is that spoken by Joel.” “‘In the last days, God says, I will pour out my Spirit on all people. Your sons and daughters will prophesy, your young men will see visions, your old men will dream dreams.’” The day Peter spoke was one of those Last Days. 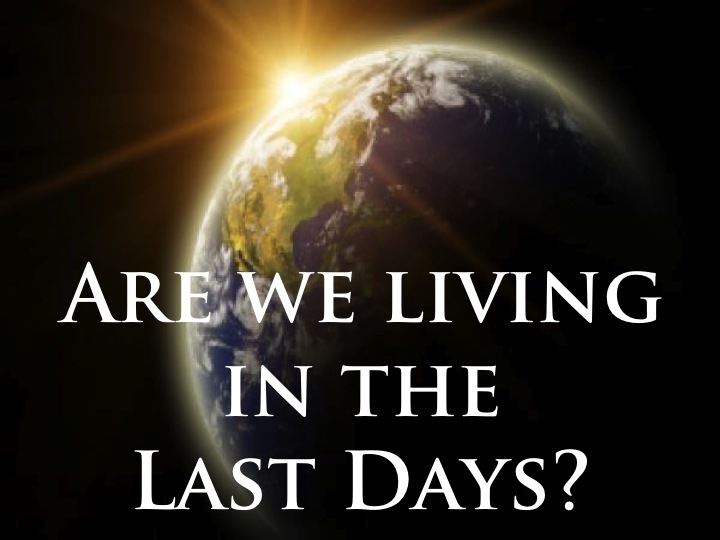 Those who heard him were living in the last days, the end time, the time of the end, the end of the age. 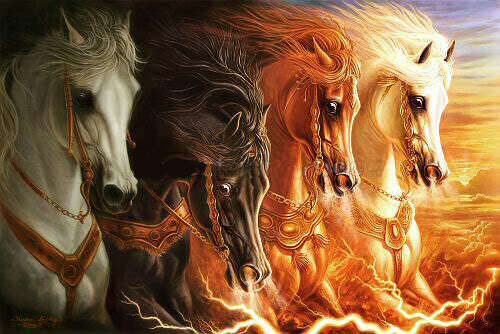 By any other name, this time was fulfilled and all the prophecies of God were shortly to be completed, i.e., fulfilled. The writer to the Hebrews said as much when he spoke of the many and various ways God had spoken to the Jewish people “… but in these last days he has spoken to us by his Son, whom he appointed heir of all things, and through whom also he made the universe.” Hebrews 1:2. Jesus was sent to bring the final words of God to these people. He came to fulfill the single and final sacrifice for the people. By his sacrifice, he would cleanse once for all time those who believed. Otherwise “… he would have had to suffer repeatedly since the foundation of the world. But as it is, he has appeared once for all at the end of the ages to put away sin by the sacrifice of himself.” Hebrews 9:26. Those days were going to be the last days to hear the voice of God or to see the miraculous manifestation of His will. To the Jews, those were the last days appointed by Moses, and Daniel, Zechariah, Malachi and Isaiah repeated the prophetic utterances yet to be fulfilled. Jesus was the fulfillment of everything Jewish and the final say so of God to men. The Lord’s own brother, James, warned the rich to use their wealth to gain friends and to prepare for judgment else wise, “Your gold and silver are corroded. Their corrosion will testify against you and eat your flesh like fire. You have hoarded wealth in the last days.” James 5:3. That hoard would testify against them that they loved mammon more than God and trusted in wealth rather than the Creator. Judgment would find them out and their end was predictable. Rather, James appealed to them to “Be patient, then, brothers and sisters, until the Lord’s coming. See how the farmer waits for the land to yield its valuable crop, patiently waiting for the autumn and spring rains. 8 You too, be patient and stand firm, because the Lord’s coming is near.” JAMES 5:7. With the day drawing near, all things would culminate in the final judgment. 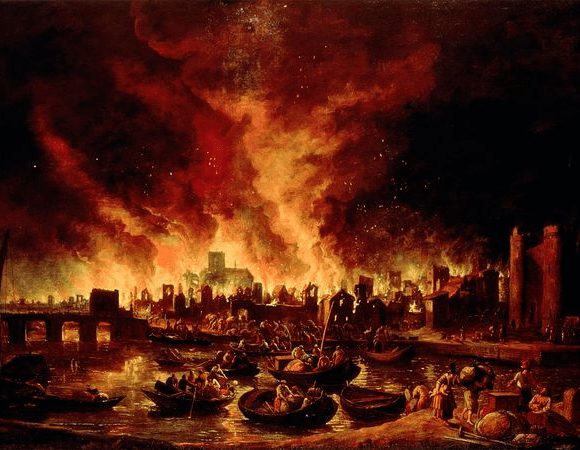 “Since all these things were to be dissolved in this way, what sort of persons ought they have been in leading lives of holiness and godliness, waiting for and hastening the coming of the day of God, because of which the heavens would be set ablaze and dissolved, and the elements melt with fire?” 2 Peter 3:10-12. 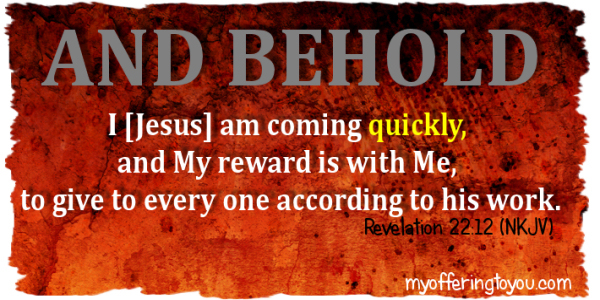 Revelation 22:12 “Look, I am coming soon! My reward is with me, and I will give to each person according to what they have done. Today, the followers of Christ can stop waiting on his return. He came in the glory of his Father, with judgment and wrath to save those who anxiously waited. The age closed with the destruction and complete annihilation of the Nation and its capital city, Jerusalem. The new age has been upon us for 2000 years. It is a spiritual age, in an unseen kingdom. And “Blessed are those who wash their robes so that they will have the right to the tree of life and may enter the city by the gates. Outside are the dogs and sorcerers and fornicators and murderers and idolaters, and everyone who loves and practices falsehood.” Revelation 22:14-15. So it is today that the holy people of God dwell in peace and in holiness, living in this world but citizens of another world. Outside the New Covenant of God are the dogs and fornicators, the murderers and idolaters. It will be this way forever and ever while the gates of the city ever stay open to welcome the sinner into the house of God. There, those who believe, those who obey may drink from the crystal fountain, eat of the tree of life and live where nothing is cursed anymore. They are the servants of God and serve him only. God lights up their life and guides their path until they are called to ascend on high and take their place among those called by his name. 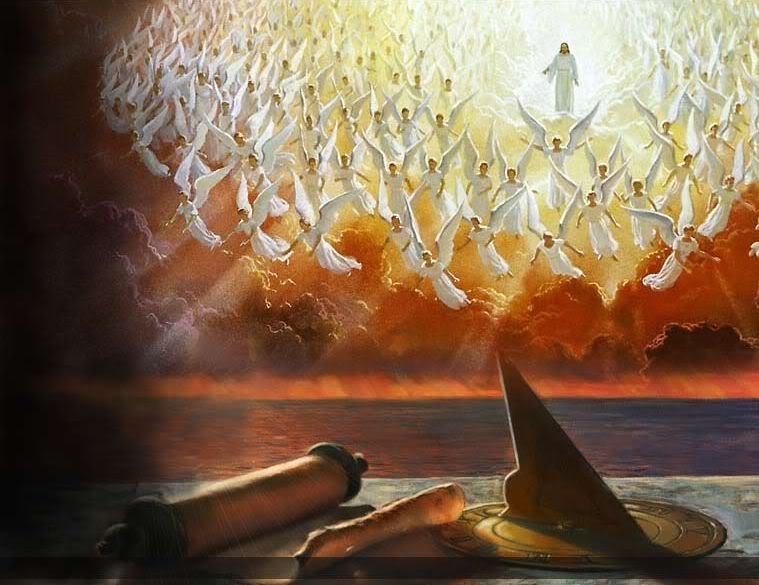 “Then the angel showed me the river of the water of life, bright as crystal, flowing from the throne of God and of the Lamb 2 through the middle of the street of the city. On either side of the river is the tree of life[b] with its twelve kinds of fruit, producing its fruit each month; and the leaves of the tree are for the healing of the nations. 3 Nothing accursed will be found there anymore. But the throne of God and of the Lamb will be in it, and his servants[c] will worship him; 4 they will see his face, and his name will be on their foreheads. 5 And there will be no more night; they need no light of lamp or sun, for the Lord God will be their light, and they will reign forever and ever.” Revelation 22:1-5. “Lord come quickly. ” spoken some 2000 years ago! Stop waiting to be saved and enter the gates of a kingdom not of this world. Amen. Interesting take on eschatology and hard to argue. So if Christ has already come, why doesn’t anyone believe this? How can all of Christianity be ignorant of this fact? Not many people read the bible with comprehension of their own. They rely on what is popular, what the preacher or priest has stated and use commentaries to lead them into their truth. When one abandons preconceptions much if not all of what the bible says becomes more transparent. Many churches frown on bible study since it leads to questions that the limits of commentaries do not deal with. marriage and divorce issues have been made to be the gospel message for many churches, literally forbidding baptism and church membership because these unresolved issues interfere with their prejudiced ideas. Others are frightened of where the truth will lead them… as though God can not be trusted. Others a busy crying heretic to every doctrine that does not fit with their limited understanding. There was a time when real Bible study was welcomed, as in the days of the restoration in America around 1835. By 1940 and 50, American christians locked into a single but narrow theology and stagnated both understanding and church growth. It is up to you to study to see if these things are so. This prophecy did not happen. This is a failed prophecy. Jesus was a failed prophet; great humanitarian and human being, but a failed prophet, nonetheless. Good comment. Really good. My posts show that he did return “on the clouds of heaven” and in that generation. Christianity at large is a false religion. That is where the error is. The prophecies were fulfilled accordingly but after the whole of that fulfillment, the church met its end and the age of the Jews concluded. But scattered illegitimate “followers” started to resurrect Judaism with a “Christian” twist. 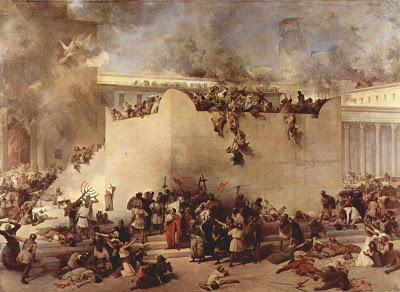 The Orthodox and Catholic churches arose from the ashes of Judaism. 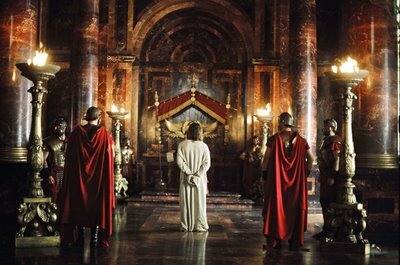 Robes, priests, holy water, sacrifices, temples… nothing God had ordained. The new creation is one of grace. The world has been reconciled back to God and every person will meet the creator at their earthly death. It is there they will see all clearly and enter into the New Heavens and the New Earth where righteousness dwells. This is what fulfilled eschatology means. Every prophecy of the Bible has been fulfilled to bring total reconciliation back to God. The age of demons, angels, devils, prophets, miracles has concluded. Now it is earth then the next life.